Bug loves to be creative especially with arts and crafts. He adores a wide variety of arts and crafts where he can let his imagination run wild. He is in his element when painting, drawing, collaging or making sculptures and 3D art. With him having such a strong love of arts and crafts our house is brimming with craft accessories. 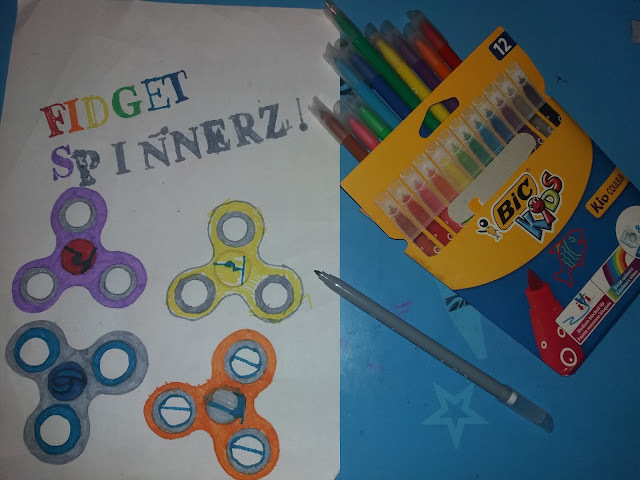 As well as play-doh, paint, and craft accessories such as googly eyes and pipe cleaners, his arts and crafts collection consists of a HUGE range of crayons, pencil crayons and felt tips. 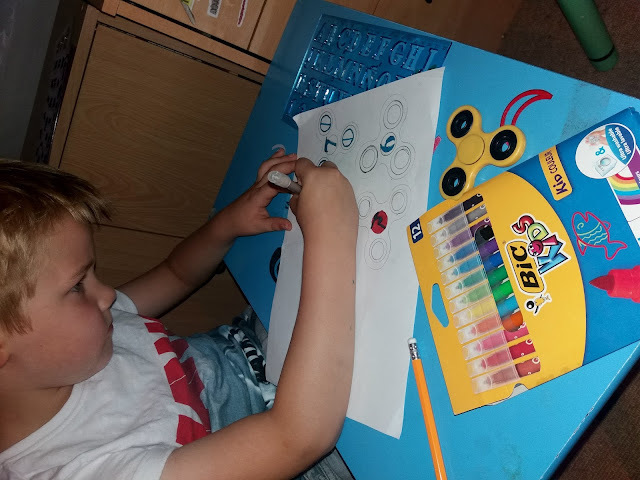 In spite of having crayons, felt tips and pencil crayons galore as he loves drawing and colouring-in more than any other form of arts and crafts he is always excited to try out new colouring utensils. 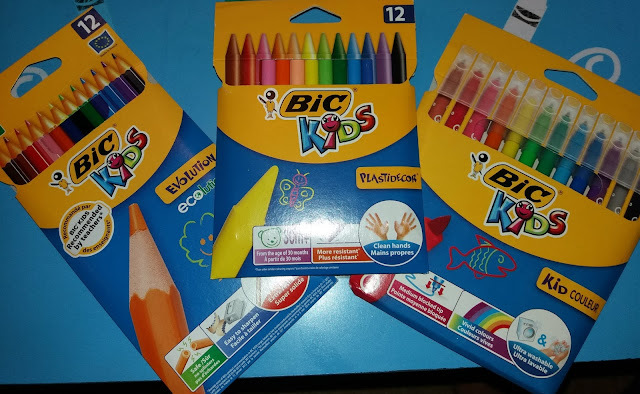 Much to Bug’s delight he was recently sent a selection of BIC® KIDS drawing and colouring products - BIC® KIDS Plastidecor® crayons, BIC® KIDS Evolution Ecolutions and BIC® KIDS Kid Couleur. 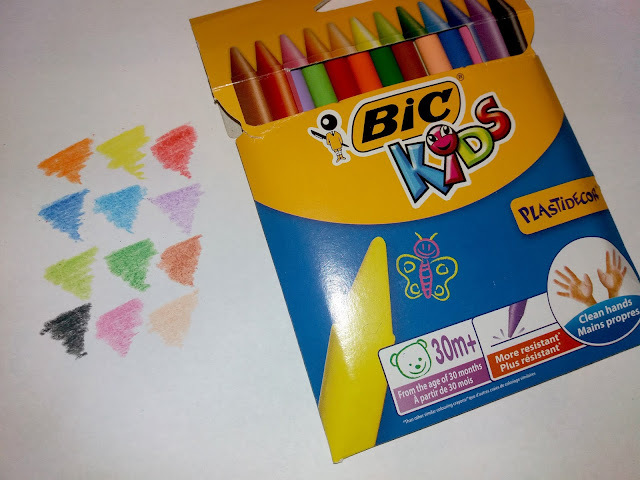 The BIC® KIDS Plastidecor® crayons are ideal for younger children as they are designed for children over the age of 30 months. They are easy to sharpen and are super resistant to breakage. They are recommended by teachers and are good value for money with an RRP of £2.99. The 12 pack of vivid colours are extra clean on hands and fabrics which means no messy marks. 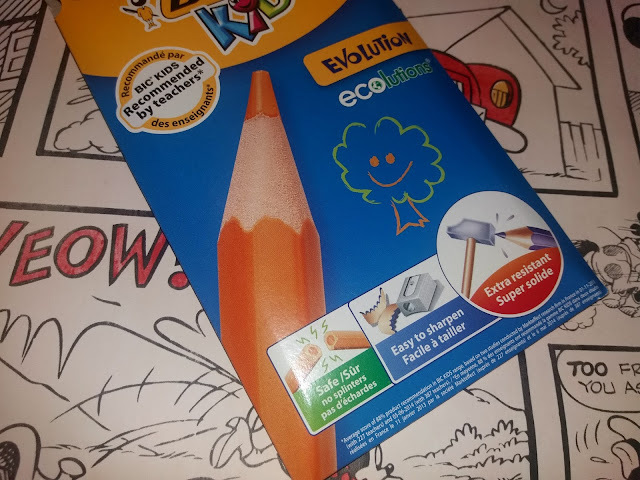 The BIC® KIDS Evolution Ecolutions colouring pencils are wood free colouring pencils that are ideal for everyday drawing and colouring. They are designed to be ultra-resistant and thanks to a resistant chew-proof lead and barrel the pencils are highly durable. Also as they are designed not to splinter they are easy to sharpen and safe. 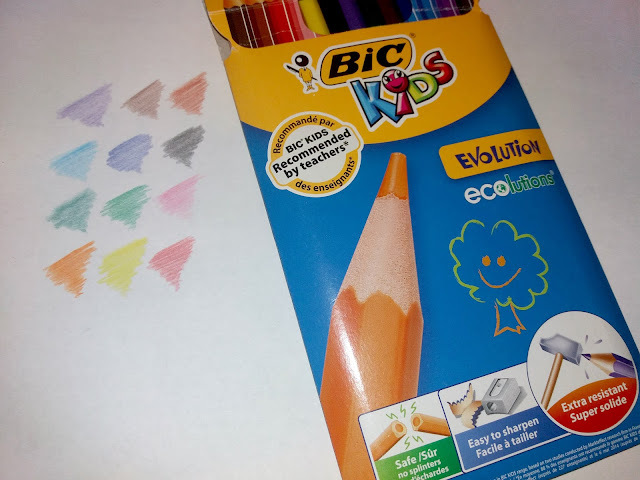 The BIC® KIDS Evolution Ecolutions colouring pencils are available in a wide range of colours and for the good value price of RRP £2.99. 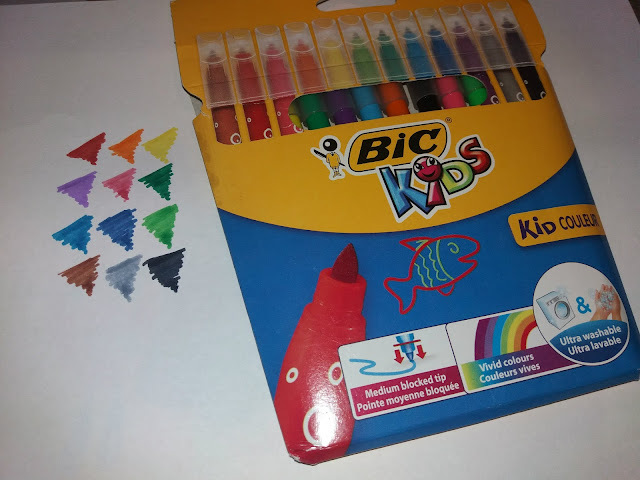 The BIC® KIDS Kid Couleur are felt pens that are durable and ultra washable felt pens with blocked tips. The vibrant colours allow kids to explore their creativity without the mess. 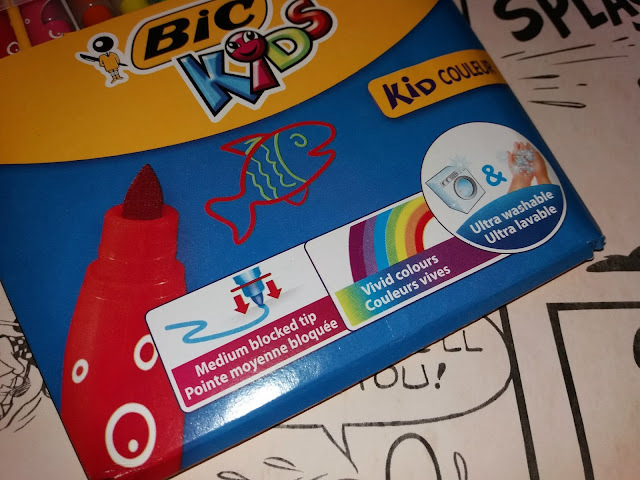 First impressions of the BIC® KIDS drawing & colouring products were that the packaging was classic BIC®, being bright colourful and appealing with key facts of the benefits of the products such as ‘safe no splinters’ highlighted on the front. Also the felt tips, colouring pencils and crayons were lovely vibrant colours that are ideal for helping kids let their imagination run wild to colour or create colourful drawings. The vividness of the felt tips, colouring pencils and crayons did not disappoint when he put pen to paper, they were just as vibrant and colourful on the paper as they look in the pack and true to colour. 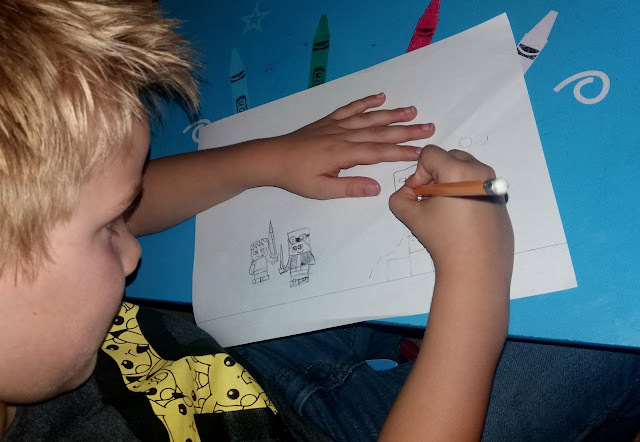 Bug loves how bright and colourful the whole sets are with them being cool to colour-in and draw his creative artworks. The BIC® KIDS Plastidecor® crayons are easy for little hands to grip and Bug loves how silky to the touch they feel. In spite of hard colouring they have been strong and not snapped. Even when Bug’s hard-handed younger toddler brother has used them to colour and scribble they have been impressively durable. Bug loves that he can sharpen the crayons with a regular sharpener just like a pencil crayon to get a sharp tip for fine, detailed drawing and colouring. He also loves the rich colour of the crayons and how they are likely to last a long time for lots of colourful creations. I love that unlike traditional crayons that these do not have paper around them which saves on the mess of peeled away scraps of paper being left on the side after colouring-in sessions. 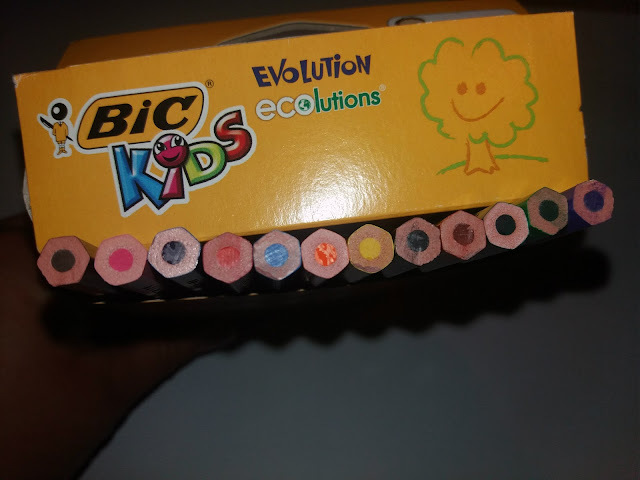 The BIC® KIDS Evolution Ecolutions colouring pencils are amazing. The colours are true to the pack and lovely and deep-coloured. We love that they are wood free colouring pencils, even though I would not have guessed they were from looking at the pencils as they look and feel like traditional wood colouring pencils. Bug loves that they are easy to sharpen and that as they are durable the tips do not break like his other colouring pencils do. I also appreciate that they are ultra-resistant and do not break easily and have to be sharpened again and again to get a new tip to then break again straight away because they will last a lot longer than his other colouring pencils that have a fragile lead. I also feel happy in the knowledge that when Bug is sharpening them that they are safe and splinter free. I love the eco-friendly element of these colouring pencils and as the packed highlights this Bug has wanted to talk about it which has opened up discussion of the world and being eco-friendly. They are a lovely set of colouring pencils and as they are such high quality and wood free I can see why they are recommended by teachers. 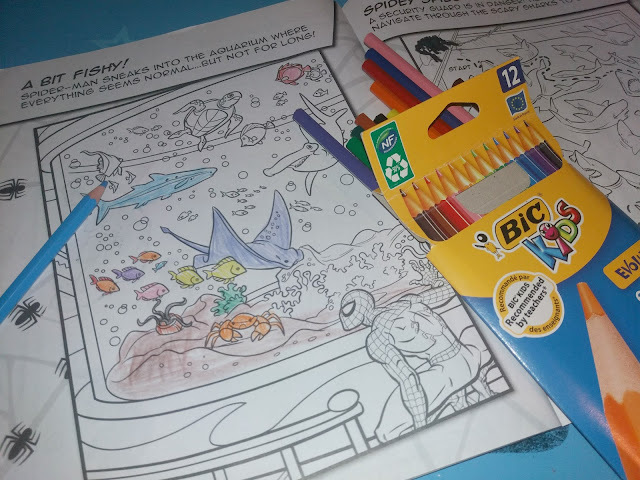 The BIC® KIDS Kid Couleur are great fun to colour with according to Bug who loves the rich, vibrant colours. They colour-in easily and smoothly, lasting well and colouring-in evenly on large areas as well as being ideal for fine, detailed work. They make his drawings and colouring-in books pop with a lovely vibrant colour. As Bug was so excited about trying out his new colouring products and has loved the Kid Couleur set they have had a lot of use already. In spite of a lot of use already the colours are still vibrant and as good as new which fills me with hope that the felt pens will be durable and long lasting. I also love that ultra washable pens which makes life as a parent a lot easier to keep the home and the kids clean and free from felt marks. We love the whole range which is of impressive high quality. Bug loves the range so much he has already asked for more sets to get a wider range of colours. 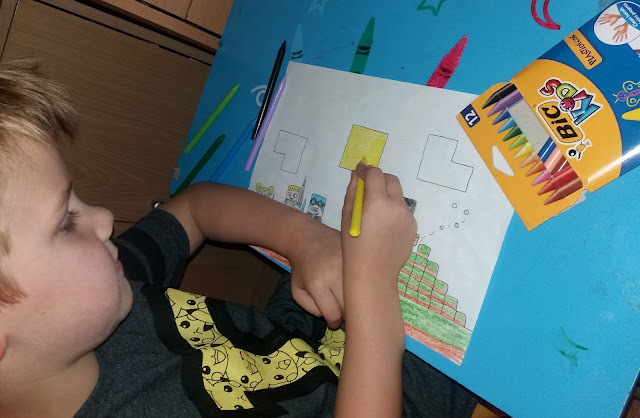 Even though he wants more sets to get a lot more colours, all of the 12 pack sets we were sent have a lovely variety of colour that are plenty enough for colouring-in and drawing the majority of pictures. If you have a kid who is mad about drawing and colouring like Bug then I have heard about an artastic competition that they might just love. 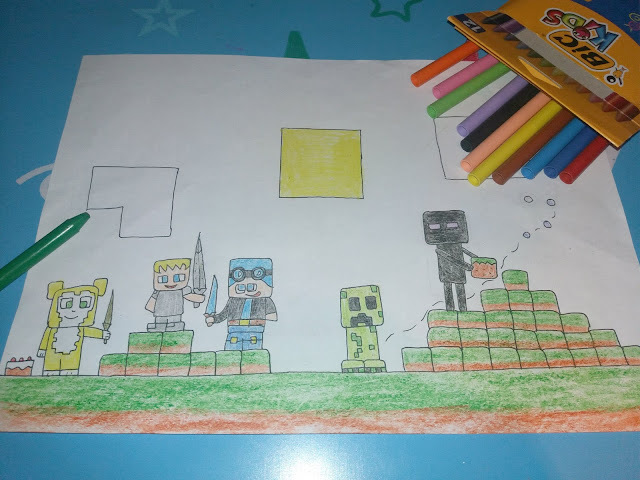 Over on Mumsnet, BIC® is currently running an amazing competition for children aged between 5 and 11 where winners can have their artwork seen by all on a billboard in their home town! 10 winners (as judged by a panel of experts) will have their artwork created into a billboard poster and displayed on a billboard in a town near them along with a £50 BIC® voucher. One lucky winner will also be chosen at random to win a £300 voucher! Its simple to enter this unique competition. Get your child to draw a picture - anything goes, let their imaginations run wild - and then post a picture of it HERE in the Mumsnet Forum. It closes on 6th August 2017 and you need to be registered with Mumsnet to take part. 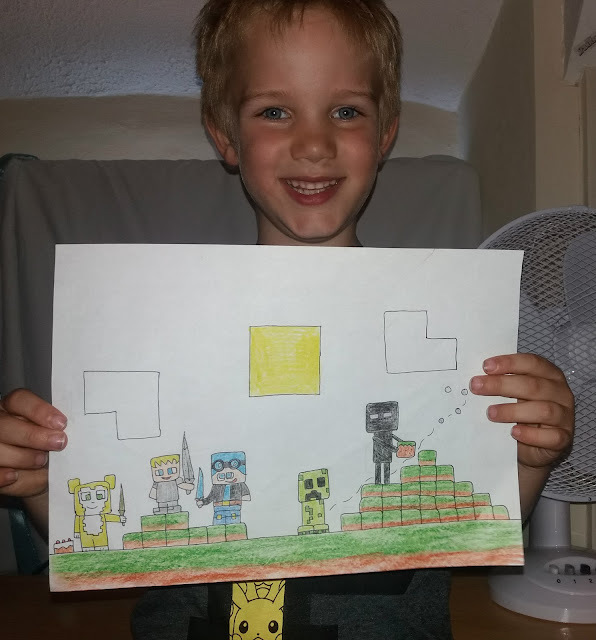 Here is Bug’s entry to the competition, a minecraft inspired picture he drew and then coloured in using the BIC® KIDS Plastidecor® crayons. I got what you mean , thanks for posting . top international schools in delhiWoh I am happy to find this website through google.